Following a cool featurette for the Marvel sequel, Thor: The Dark World has two more posters that have surfaced, giving brothers Thor and Loki the spotlight. 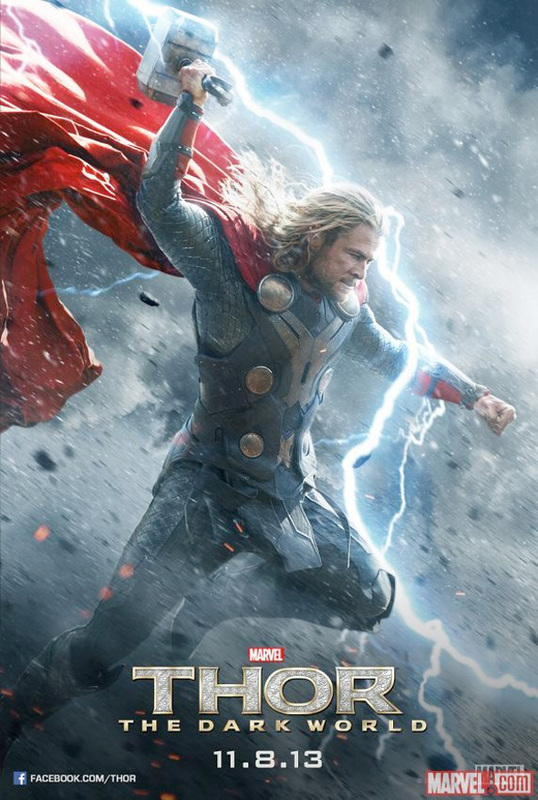 Unfortuantely, the god of thunder looks a little bit awkward as Chris Hemsworth boasts an inexpressive face that doesn't seem to match his body as he flies through the air to battle. 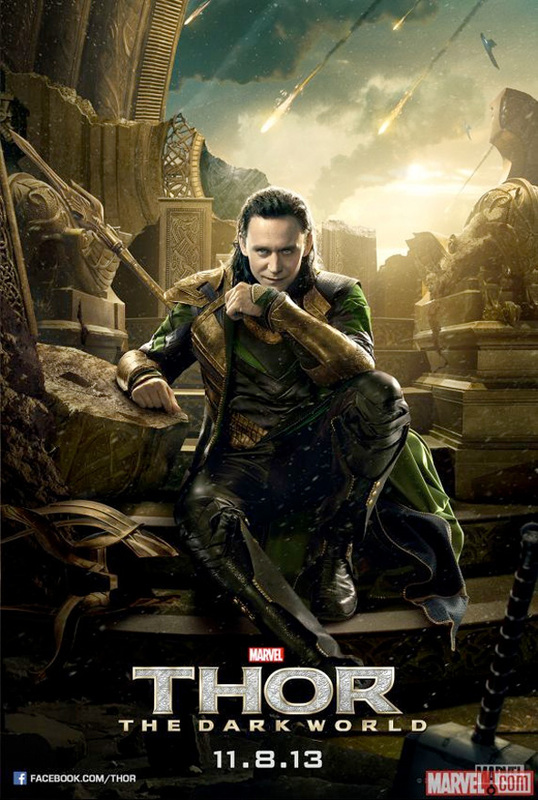 Meanwhile, Tom Hiddleston puts on his best mischievous grin with Asgard in ruins around him. Also, if you'll look in the lower right hand corner, you'll see Thor's trusty hammer Mjolnir, which hints at something epic that happens in the footage shown at Comic-Con last month. Look! One character on a poster? What century are we in? those are pretty slick. love the atmospherics and lighting. Least no one is complaining about head and hand sizes not matching the body and what not... Am loving all these shots of Thor surging up some lightening and hail storms. That better be in the freakin' movie! Thor would look better wearing the helm.